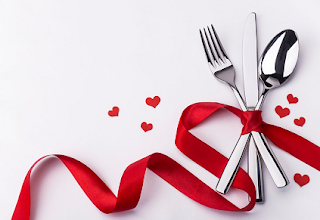 The Wharf, Sea side restaurant at the famous Radisson BLU Resort Temple Bay, Mamallapuram, located few meters off the shore of Bay of Bengal is an ideal place for a perfect dinner date on this Valentine's Day – 14th Feb (Tue). The Wharf - flavored by elements - provides most romantic and pleasant experience with a fantastic view of the shore. Savor and enjoy the delights of this dreamy day with a five course meal dinner along with beverages and a lovely ambience. The aphrodisiac menu includes Palm Hearts and Feta Mille –feuille, Lava Grilled Salmon with Cream Cheese Foam, Parde Wali Murgh with Sweet and Sour Mango Chutney etc. Be a part of the beautiful evening with your loved once and make memories that you can cherish forever. Besides the delightful delicacies, you can engage in activities like zorbing, ATV and boat rides at Radisson BLU Resort. The cost for a couple is RS.6000/- AI. For reservations, call: 08056012755/044-27443636.